Click the button below to add the TOP GUARD PRO to your wish list. All the benefits of original Top Guard in an odorless formula! Create durability you can actually see. Increase your floor’s resistance to traffic and the elements; create a beautiful shine that lasts while enhancing slip resistance. 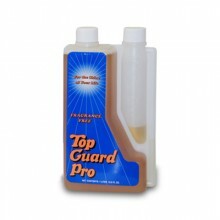 Improve indoor air quality - TG Pro eliminates all dust from burnishing!